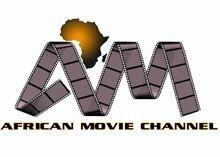 Movies TV Channel / African Movie Channel (AMC) is a global player in the rapidly expanding African film industry, which is the second largest film industry in the world. African Movie Channel started operations in April 2006, when it launched Europe’s first channel dedicated to top quality Nollywood and other African movies. AMC pioneered the online digital distribution of Nollywood movies and drama series at full-screen DVD quality as standard, through its worldwide online On-Demand channel launched in May 2007, and a partnership with British Telecom (BT) on its BT Vision Download Store. On 1st of May 2011, AMC launched its 24-hour African movies and series linear channel, African Movie Channel, playing out of London; the channel is dedicated to showing only the best quality movies and series from Nigeria’s Nollywood, and the best from the rest of Africa.